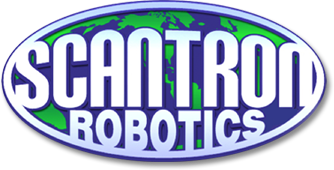 Using an ROV (Remotely Operated Underwater Vehicle) the team at Scantron Robotics can survey and capture images and video of the tank's condition. The operation can be completed while the tank is in service so your operations are not impacted during an inspection. The ROV SURVEYOR gets in the water faster than divers and accesses areas that are too deep, confined, or hazardous to humans. The ROV SURVEYOR is small and lightweight and can be transported and operated by one person. The ROV SURVEYOR's compact power supply provides safe, low voltage current. Observing the "Eye View" is easily accessed through a video monitor or television set. Zoom capability horizontal thrusters move laterally. Sonar imaging capabilities and tools available. Equipped with single, internally mounted, high-quality NTSC format color video camera (PAL video format available). The camera is mounted and remotely operated. Uses a motorized tilting chassis that allows a +/-60 degree vertical range of motion. Camera equipped with a remotely operated focus motor and electronic iris.